Yeah! 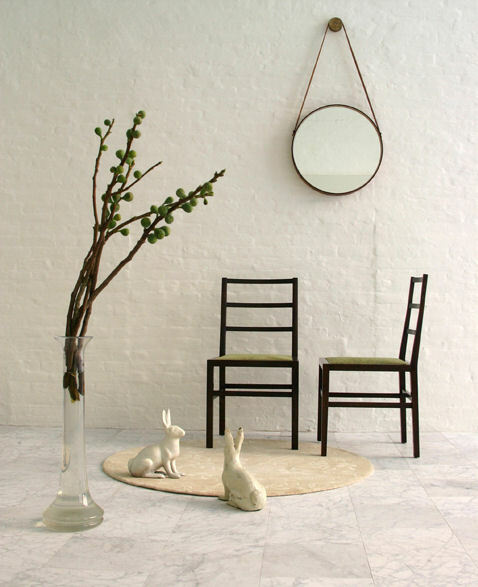 New items posted on the West Elm website today (lots of green! ), but I'm especially fond of this faux bois mirror ($249) because it's large and in charge, but not intimidating or over the top. Doesn't it look stunning in this room? 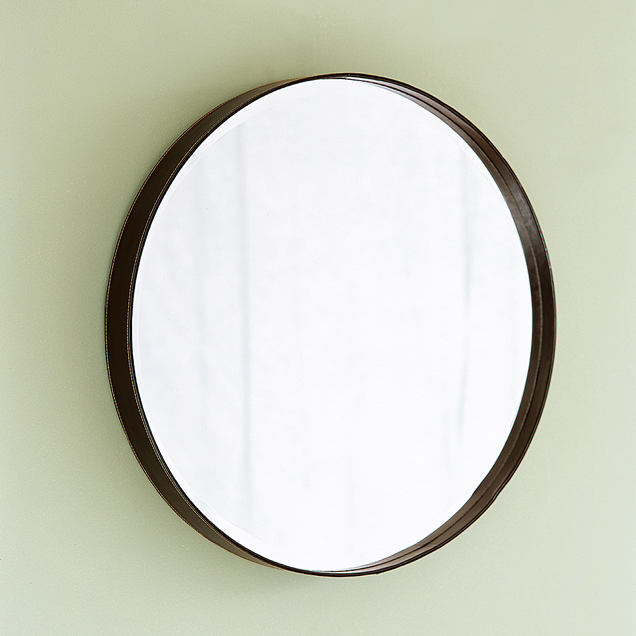 I also have a crush on their new round leather mirror ($149), it looks so much like the one I've had a crush on for ages from BDDW, only without the leather hanger (which is easy enough to add to the West Elm version). Even though I like seeing affordable options for those that cannot afford the high end designs, who doesn't like a deal, I sometimes wonder what all of this really means in a big picture kind of way. 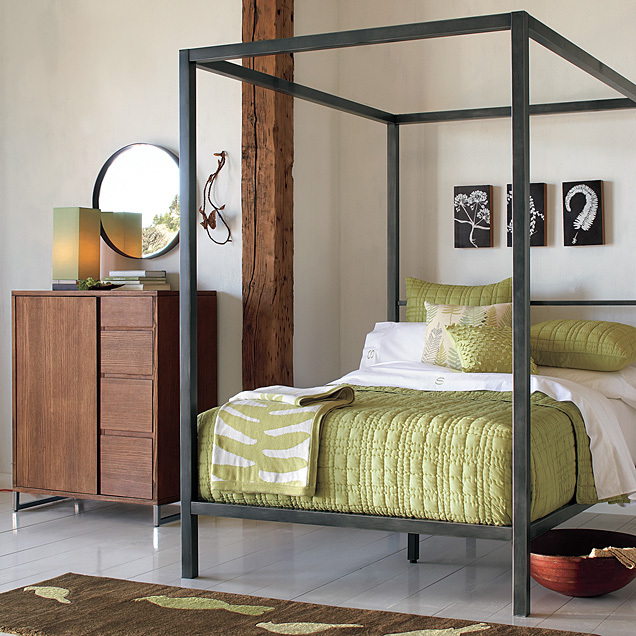 I shop sometimes at West Elm, and often see items that seem to be inspired by a more expensive designer item. Meg over at Designer's Library notices to, and actually spoke to this point on her blog not to long ago, click here to read her thoughts. Perhaps this just means that imitation is flattery? Fu (or Foo) dogs are popping up all over, created by various companies, as are Zebra rugs, Chinese ceramic stools, wire chairs... Could it simply be that a single, great design is launched into the world and becomes such a must-have item that it gets recreated in many versions (even nearly duplicated one to one), making it into what becomes a timeless classic? What do you think? I wonder what the designers, the BDDW's in the world, think about this. Are they flattered? Does this actually generate more interest, and business, in the end? Shop Girl: What Can Shop Owners Do To Attract Loyal Customers?